Coup detat in July 1997 by second Premier Hun Sen to depose first Premier Prince Norodom Rannaridh left Cambodia’s seat at the UNs vacant under the supervision of Credential Committee of the UNs. In that time, US was the core leader to lobby other nation-states to aid this seat postponement. 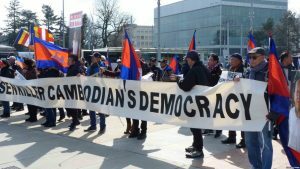 With current setback of democracy, Cambodia shall be inevitably facing tensions with the international community especially the Cambodia’s legal seat at the UNs. 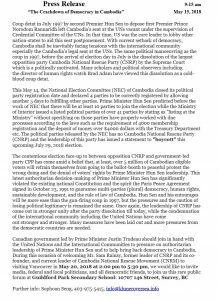 The same political manoeuvring as the coup in 1997, before the arrival of election day in July is the dissolution of the largest opposition party Cambodia National Rescue Party (CNRP) by the Supreme Court which is a politically motivated. Many scholars and political observers including the director of human rights watch Brad Adam have viewed this dissolution as a cold-blood coup detat. This May 14, the National Election Committee (NEC) of Cambodia closed its political party registration date and declared 4 parties to be correctly registered by allowing another 5 days to fulfilling other parties. Prime Minister Hun Sen predicted before the work of NEC that there will be at least 10 parties to join the election while the Ministry of Interior issued a listed political parties of over 41 parties by stating as “listing at the Ministry” without specifying on those parties have properly worked with due processes according to the laws such as the requirement of 4000 membership registration and the deposit of money over $4000 dollars with the Treasury Department etc. 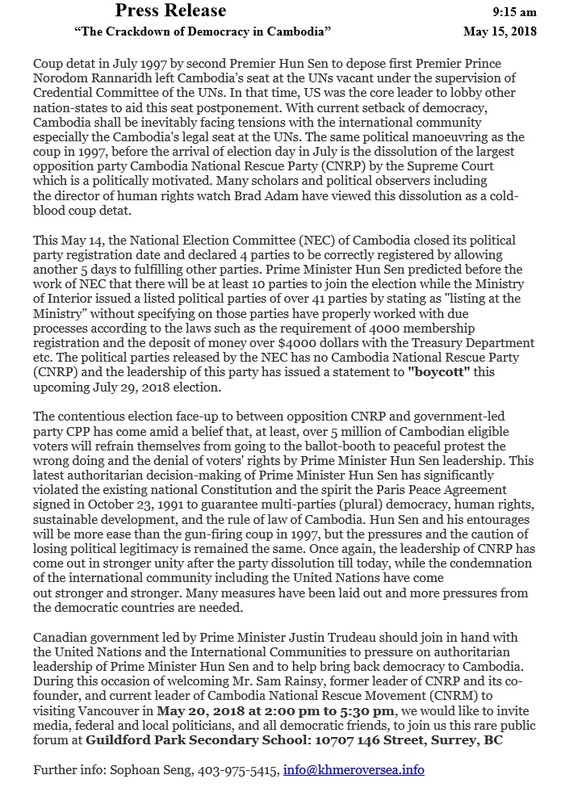 The political parties released by the NEC has no Cambodia National Rescue Party (CNRP) and the leadership of this party has issued a statement to “boycott” this upcoming July 29, 2018 election. The contentious election face-up to between opposition CNRP and government-led party CPP has come amid a belief that, at least, over 5 million of Cambodian eligible voters will refrain themselves from going to the ballot-booth to peaceful protest the wrong doing and the denial of voters’ rights by Prime Minister Hun Sen leadership. This latest authoritarian decision-making of Prime Minister Hun Sen has significantly violated the existing national Constitution and the spirit the Paris Peace Agreement signed in October 23, 1991 to guarantee multi-parties (plural) democracy, human rights, sustainable development, and the rule of law of Cambodia. Hun Sen and his entourages will be more ease than the gun-firing coup in 1997, but the pressures and the caution of losing political legitimacy is remained the same. Once again, the leadership of CNRP has come out in stronger unity after the party dissolution till today, while the condemnation of the international community including the United Nations have come out stronger and stronger. Many measures have been laid out and more pressures from the democratic countries are needed. 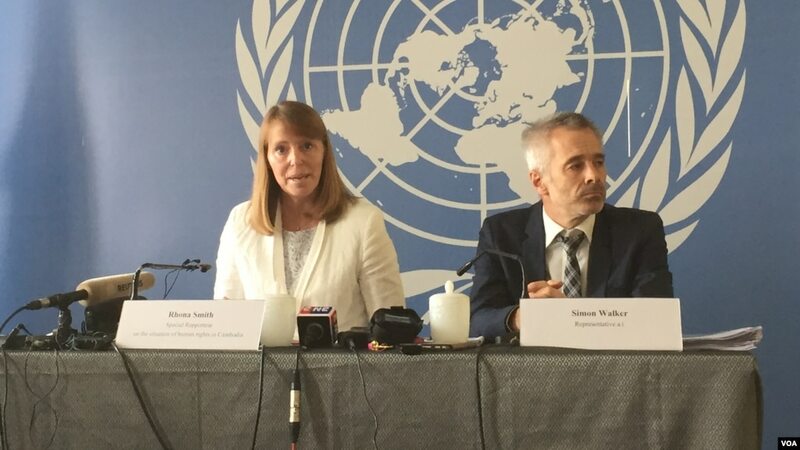 PHNOM PENH — Rhona Smith, the UN’s special rapporteur on human rights in Cambodia, has said that the country’s forthcoming national election will not be “genuine” without the participation of the banned Cambodia National Rescue Party. The CNRP was dissolved by the Supreme Court last November after its leaders were charged with treason for their alleged role in a foreign-backed plot of overthrow Prime Minister Hun Sen.
“No election can be genuine if the main opposition party is barred from taking part,” she said in a statement. Smith stressed that the government must immediately release the detained opposition leaders and lift a ban on the opposition taking part in the July 29 general election. “Those who currently rule the country have one final opportunity to reverse the current trajectory, and return instead to the constitutional path of multi-party democracy and genuine elections —ensuring a level playing field for all political parties,” she added. The appeal to the ruling Cambodian People’s Party came on the same day that the National Election Committee (NEC) announced the start of official registrations for the election, which is due to be held on July 29. However, Hun Sen defended the process, saying in a speech that any delay to the election would be unconstitutional. “The constitution must be changed for a delay. The law must be changed for a delay. The National Election Committee has no right to delay [the election] because this procedure is set by the law we made,” he said. “A dead person that passed away was burned without knowing the whereabouts of the bone. It will not survive. Only the real parties can stand for the election. Thus, [we] see it in black and white,” he added, referring to the CNRP. Hang Puthea, NEC spokesman, said Smith may have misunderstood legal proceedings in Cambodia, saying “at least ten political parties intend to take part in the election. 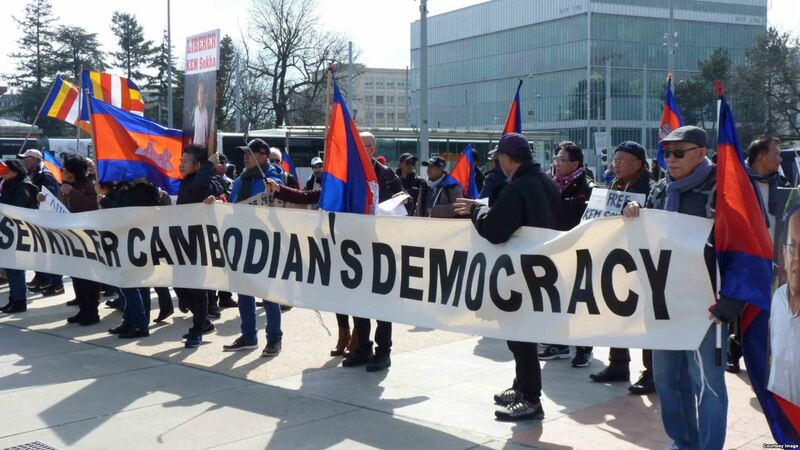 WASHINGTON DC — Cambodians living overseas have increased their activism since a government crackdown on dissent began last year, according to activists. 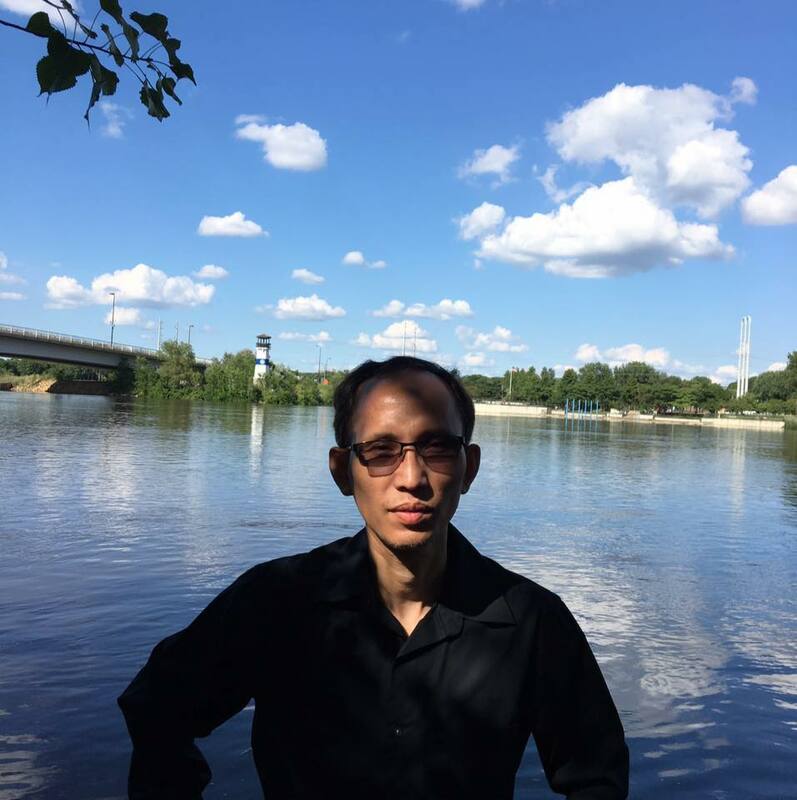 “At this point, our strategy is to demand a review of the Paris Peace Agreement in order to have a free and fair election, not the Russian-style one,” said Seng Sophoan, president of the Committee for Election Rights of Overseas Cambodians (CEROC). Hong Lim, a member of the Victorian Legislative Assembly and the main organizer, hoped that the “World Khmer Conference” would find a way to address these challenges, which he considered “terribly troublesome” issues. The Economist Intelligence Unit ranked Cambodia’s democracy at 124 out of 167 countries, down from a “hybrid government” to a “dictatorship”, after it dissolved the main opposition party.